We help because we perceive the benefit of our actions as accruing to others. They called this “public benefit” because the public, or some section of it, benefits (e.g., the homeless population). However, we don’t perceive ourselves as gaining any benefit from helping others; we have altruistic as opposed to personal motives for helping. To some degree, everyone is altruistic, which means we perceive our fellow human beings as good and worth helping, should they require it. It is this spirit that drives people to help one another. Whatever motivates people to help others is definitely welcome and need not be questioned. 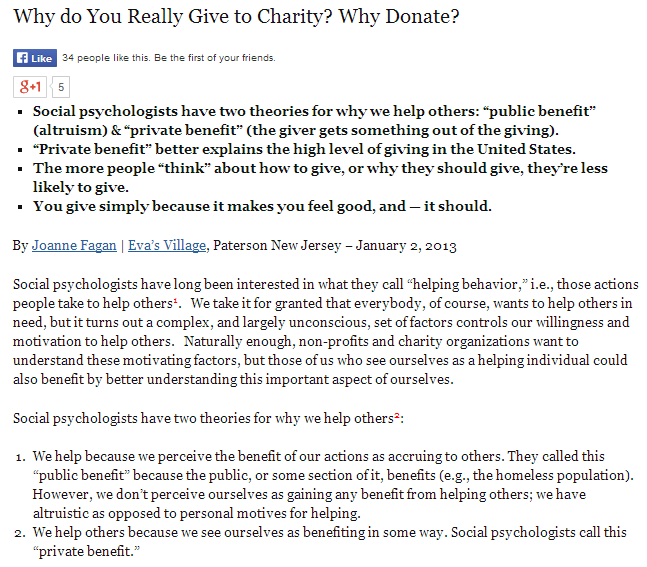 Subconsciously, though, we are also thinking of what we can gain when we give to charity. Though the gains may not be material, they still have a major impact on our sense of self-worth and even on our health. Multiple studies have concluded that people experience a particular high described as a “warm glow” after giving help to a person in need or donating to a worthy cause. This state of euphoria usually brings benefits such as reduced depression, relieved stress, and a better immune system, to name just a few. To un-complicate things and put all of it into perspective, perhaps the best principle that we can live by is the Golden Rule which urges us to treat others the way we want to be treated. After all, if it feels good to give to someone whether through a car donation in NY or a feeding program in PA. 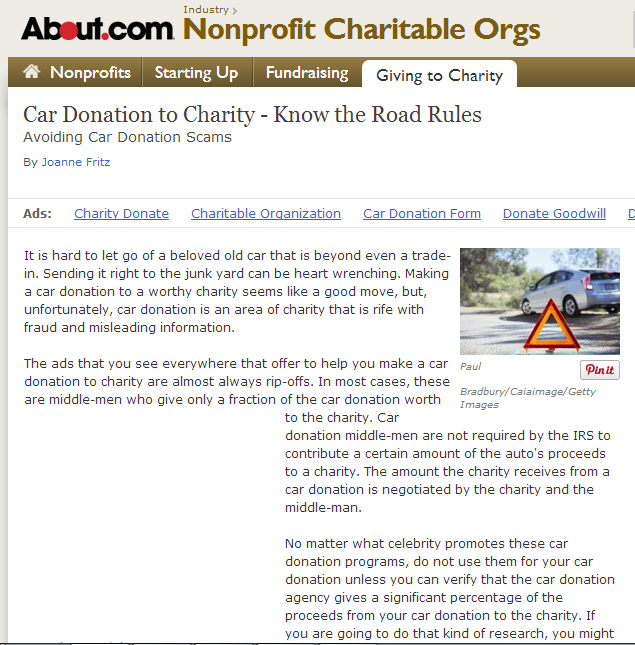 The ads that you see everywhere that offer to help you make a car donation to charity are almost always rip-offs. In most cases, these are middle-men who give only a fraction of the car donation worth to the charity. Fritz went on to recommend that you select a charity close to home, and personally drive the vehicle there. But what if the charity you chose is in a different city or state? What if you’re looking to donate a car in New York? What if the car isn’t in running condition? What if I want to donate a boat? Enter specialized organizations such as Miles Ahead Network whose goal is to make vehicle donation as convenient and simple as possible for benefactors anywhere in America. Once the donation is processed, they will schedule the vehicle, working or not, for pick-up. In fact, the owner doesn’t even have to be present when the vehicle is claimed. Before the vehicle is claimed, remember to remove the license plates and return them to the DMV if required, or have them assigned to another vehicle. Most importantly, don’t forget to tie up the loose ends with the IRS; aside from a copy of the title change, you need to include the IRS form 8283 with your tax return for any vehicle donation worth more than $500, and an outside appraisal for any donation worth greater than $5,000. Don’t forget to ask proof of the donation, such as a receipt, from the charity.